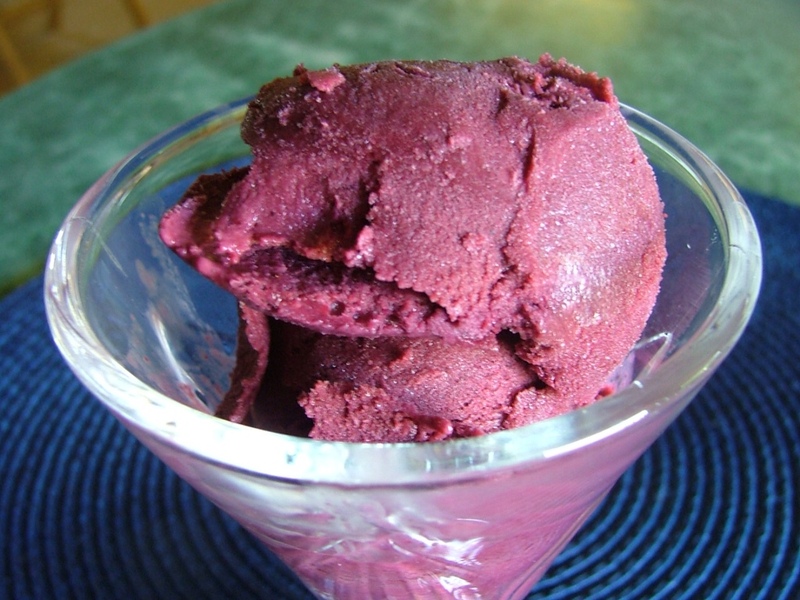 Over at Julie's: Blackberry Sherbet ~ Berry-licious! When I was in high school I worked as a maid on the weekends during the school year and full-time during summer break cleaning rooms at a motel. It was hard work but, I made a whole $2.20 an hour! It was great having money to buy clothes and shoes. Lunches were free, all the soda you could drink, a 1 ton ice machine pumped out limitless cute little square cubes (I love ice!) and all the sherbet I could eat. 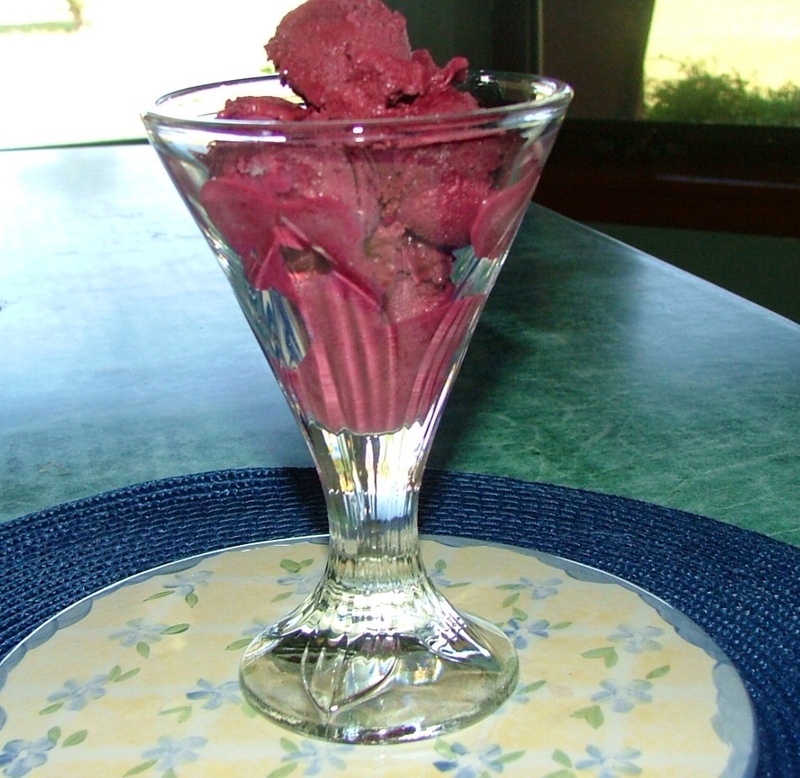 Let me tell you, I ate a lot of sherbet as a skinny teenager, but nothing can compare with homemade sherbet using sweet plump fruit straight from the garden! Sweet . . . Juicy . . . Blackberries! This icy treat adapted from Sunset magazine; perfect for our hot Arizona summers! 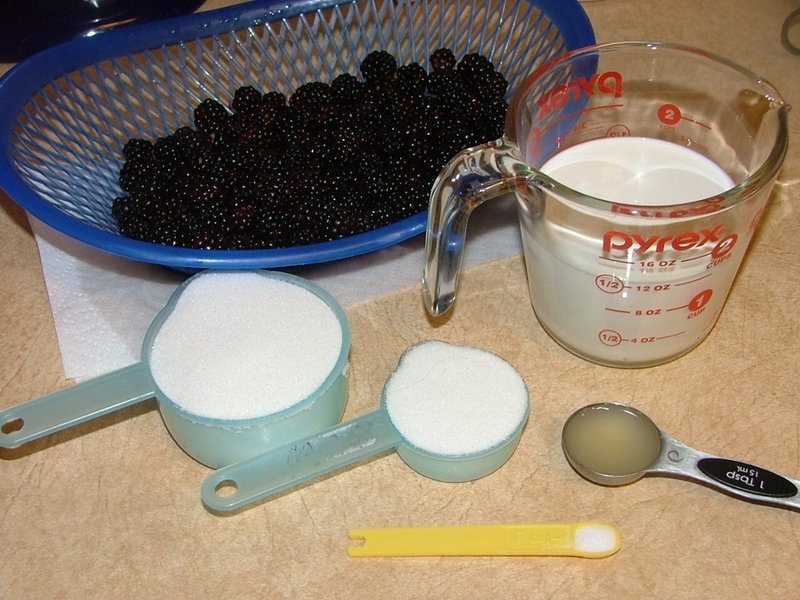 In a blender or food processor add blackberries, sugar, lemon juice and salt and half and half; blend until smooth. 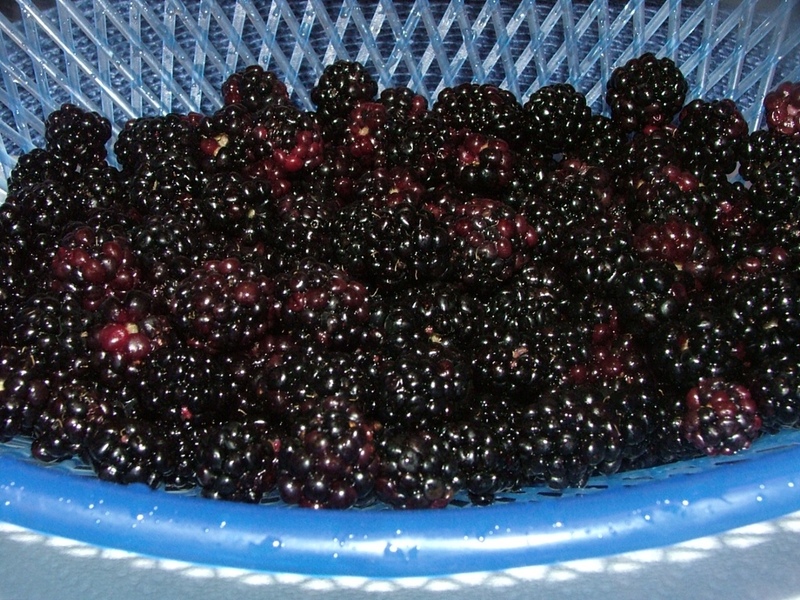 Place fine strainer over 8 cup measuring bowl; pour blended berries into strainer; stir with large spoon. When there are mostly seeds left in strainer, use the back of spoon to push the remaining blended berries through the strainer (I did it in 2 batches). Cover bowl with plastic wrap and place in freezer for 1 hour. Can be eaten immediately or scoop into container, cover and let harden for 2 hours. Ingredients all measured out and ready to go! Look at all those tasty vitamins and antioxidants just begging to be devoured! Raw blackberries are loaded with vitamins, antioxidants and intense blackberry taste! 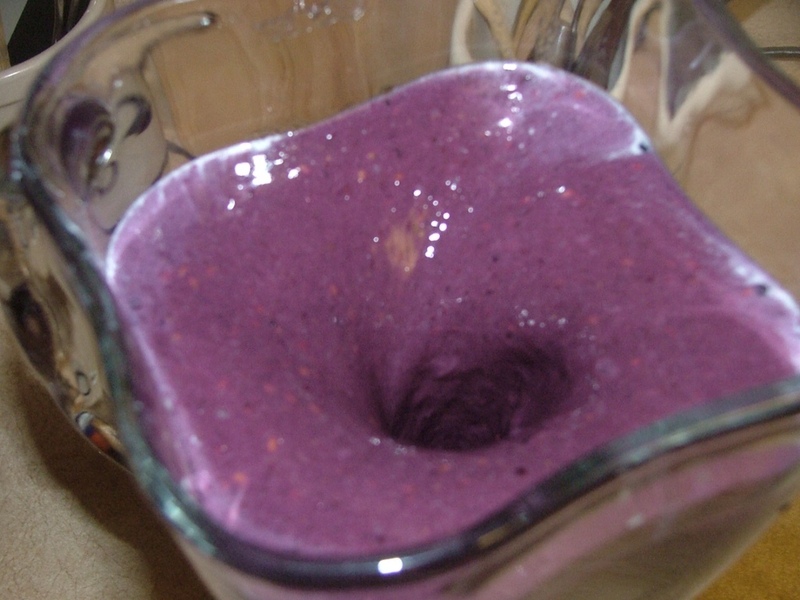 This raw-berry creation serves up healthy goodness with a premium taste! My first bite? WOW! The flavor just burst in my mouth! The stuff I ate back when I was a kid, can't compare to the intense burst of pure berry-liciousness! And, this is actually GOOD FOR YOU! Ain't nothing like the real thing baby . . . Over at Julie's!! !